2nd Shift has a similar “stay for a while vibe” as most of the breweries here. Located in a warehouse, it has the long, family style tables as well as a few smaller tables, and lots of board games to choose from if you so desire. 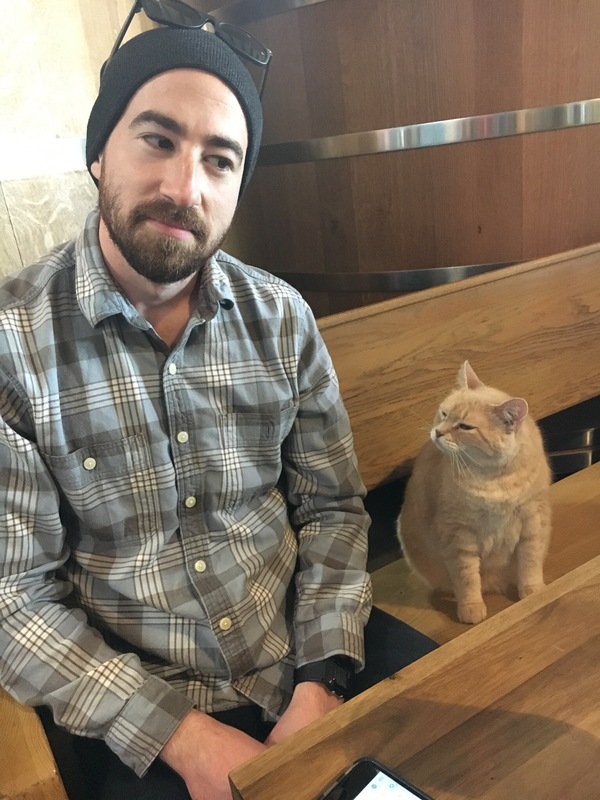 Plus, unlike any other brewery, this place has CATS. The one that hung out with us reminded me of my fat cat growing up, although this lady was even bigger. Of course, she went straight for my husband, since he’s allergic and therefore is not a fan. Somehow, he attracts them like the bird-lady in Home Alone 2 attracts pigeons. I am not pleased with your lack of affection, good sir. 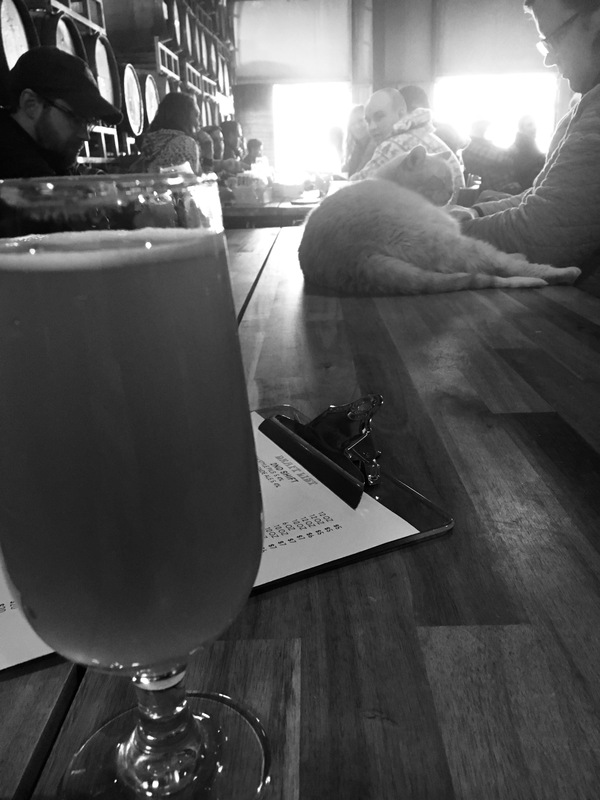 As far as beers go, he liked their Czech Pilsner, and I enjoyed both the Hibiscus Wit and the Blondie. My husband also tried the Act of Neurosis IPA, but he didn’t like it as much as the Pilsner.